Should US Airport Facial Scans be Illegal? A pilot program being conducted by the Department of Homeland Security that involves conducting facial scans of international airline passengers may be a violation of privacy. A new report from the Center on Privacy and Technology at Georgetown University’s law school described the scans as an invasive surveillance tool, according to The New York Times. The scanners were installed by DHS at nearly one dozen airports without going through a required federal rule-making process, the newspaper reported. The pilot program is aimed at identifying those who have overstayed their visas in this country. To do this, customs officers are now stationed at boarding gates where they scan travel documents and take pictures of passengers. The pictures are matched against a facial scan that foreign visitors were required to submit to Customs and Border Protection when they entered the country or from their visa application, according to a separate report in The New York Times. In addition, the passenger’s information is also run through law enforcement and intelligence databases. The new report says that, in an attempt to identify travelers who have overstayed visas, the program is improperly gathering data on Americans. In order to develop the report, the authors reviewed dozens of Department of Homeland Security documents. The findings include that the technology had high error rates and is subject to bias because scans do not always correctly identify women or African-Americans. Government officials meanwhile are defending the system. 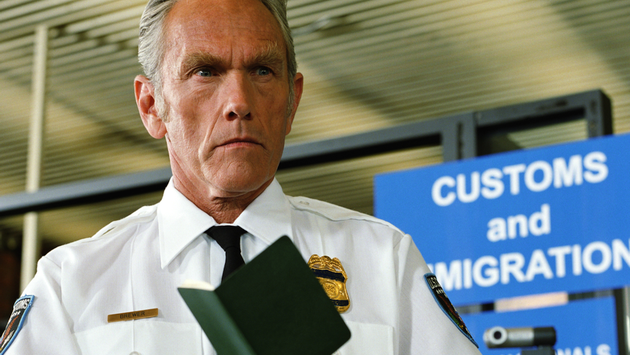 The deputy executive assistant commissioner for field operations at Customs and Border Protection, John Wagner, told The New York Times that American travelers can ask to be inspected in other ways, opting out of the facial scan. In addition, Wagner said, that as much as 90 percent of the scans have correctly identified faces, contrary to the report’s claims that there were gender and racial bias issues. The facial scans are not the only new screening program or technology appearing in airports these days. DHS is also beginning to implement a biometric exit system that uses facial recognition scanning, according to The New York Times. It will eventually be used at all American airports where there are international flights. This program is also expected to cost as much as $1 billion, an amount that is to be paid by various visa fee surcharges. Visitors who have overstayed their visas are the largest number of people in the United States illegally, the newspaper reported. Government officials have asserted that if they can better track who has left the country, they will be able to determine who remains here beyond their limit of their visas. The Department of Homeland Security reported that about 629,000 visitors to the United States last year remained in the country after their visas expired.